Children's animated feature following the adventures of three anthropomorphic vegetables. Elliot (voice of Mike Nawrocki), Sedgewick (Phil Vischer) and George (Vischer) all dream of leaving the kitchen of the dinner theater where they work and becoming pirates in the main show, but their combined laziness and lack of confi dence means that this will never happen. However, circumstances change when the trio are transported back in time to the 17th century and land themselves in a maritime adventure where they are enlisted to help save an endangered princess. Can they overcome their timid personalities and become everything they ever wanted to be? 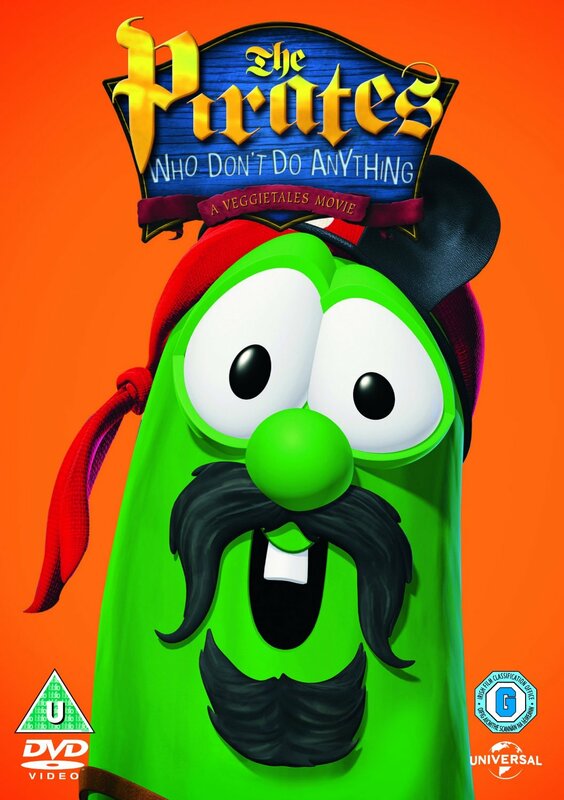 The Pirates Who Don't Do Anything DVD by VeggieTales is published by Sony and is our 23750th best seller. The ISBN for The Pirates Who Don't Do Anything DVD is 5053083014216. Be the first to review The Pirates Who Don't Do Anything DVD! Got a question? No problem! Just click here to ask us about The Pirates Who Don't Do Anything DVD.